Pre-heat oven to 425 degrees. 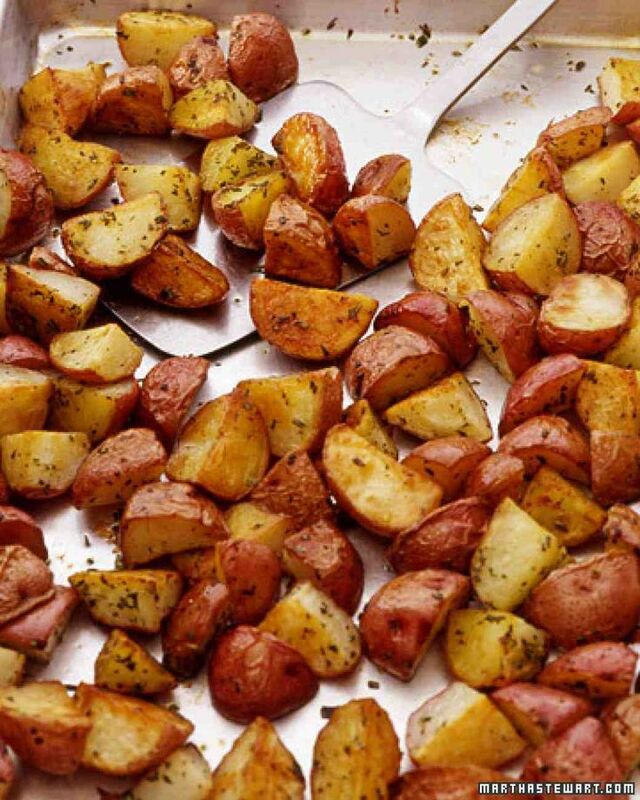 Toss potatoes, oil, and rosemary on a rimmed baking sheet. Spread out potatoes in a single layer; season with salt and pepper. Roast, stirring once halfway through cooking, until potatoes are golden brown and crisp outside and tender inside, about 30 minutes. Juicy blueberries hide between layers of custardy French toast in this delicious make-ahead brunch dish. Use this recipe to make our Southern Fried Eggs over Buttermilk Biscuits with Sausage Gravy.